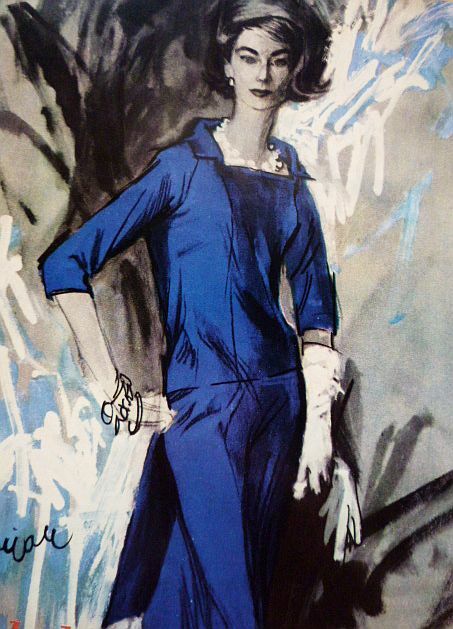 Inspired by some vintage magazines I snaffled this week, this post will be the first in a series of vintage fashion tutorials. 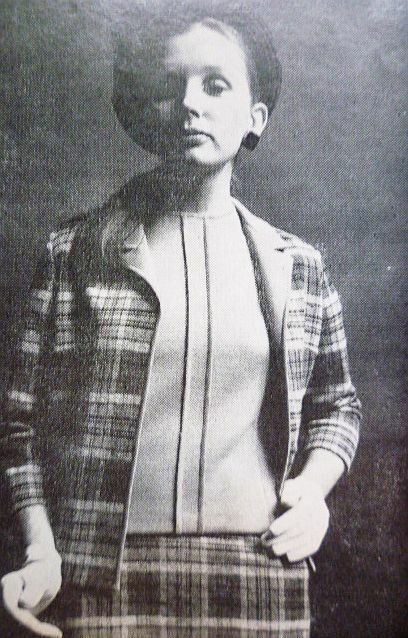 There's something so...neat about 60s suiting, isn't there? 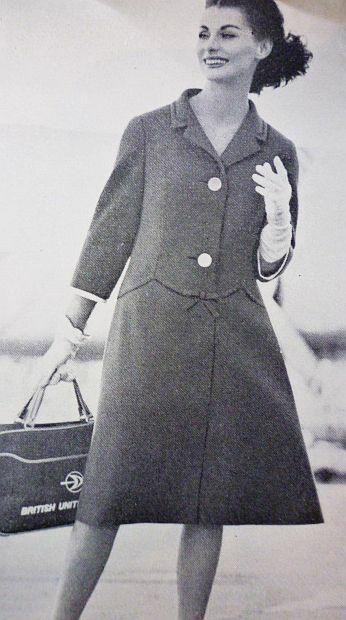 The crisp tailoring, pillbox hat, elegant gloves and pencil skirt are elements that I always find appealing. 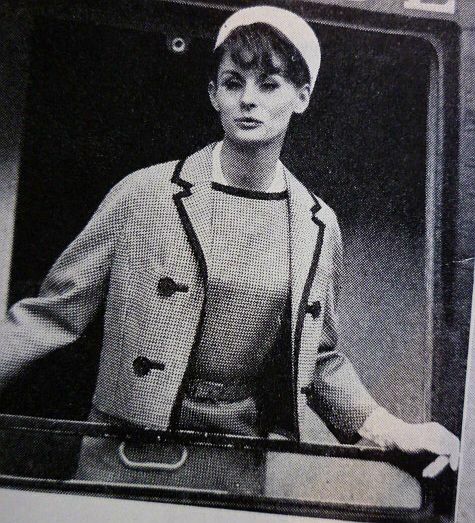 Detailing on jackets often had just one feature, whether it be top-stitching, an edge trim, a pocket trim or suchlike. 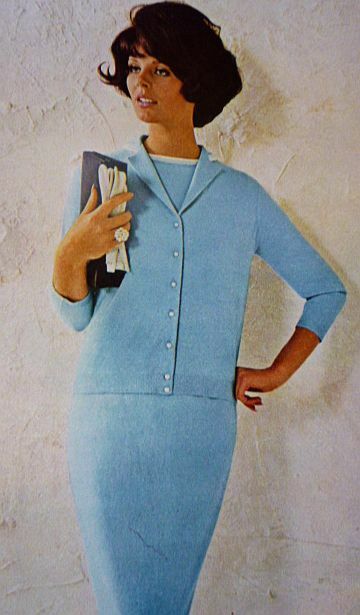 During the late 50s and early 60s, hemlines were still below the knee, and a shorter or 'boxy' unfitted jacket with 3/4 sleeves was worn with long gloves. Not all skirts were pencil-shaped, though. 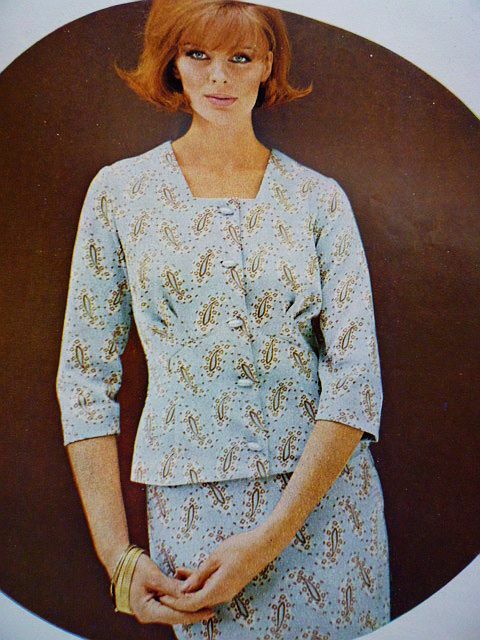 The a-line was another popular look and continued to be present throughout the 60s and into the 70s. 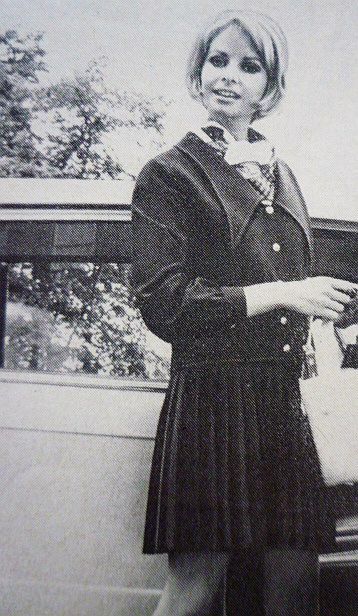 Collars were generally open, and jacket decoration was minimal. 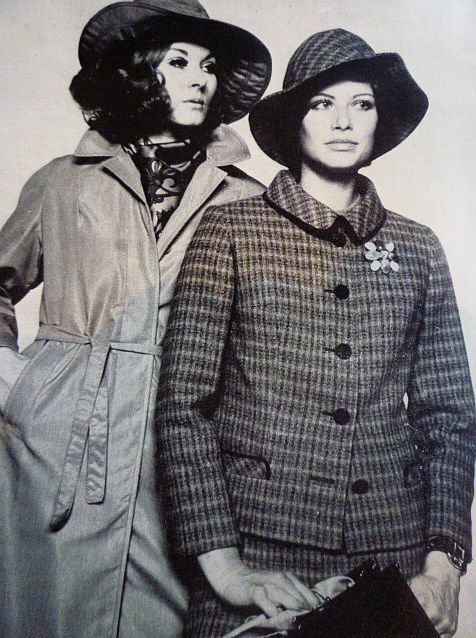 Large buttons and small accents such as bows or top stitching were often seen on jackets. Knitted suits were big news too. They began to appear in acrylic versions from the mid-60s onwards. The braided trim on this jacket adds tailored elegance to this simple design. The introduction of crimplene allowed far greater versatility with fabric design. 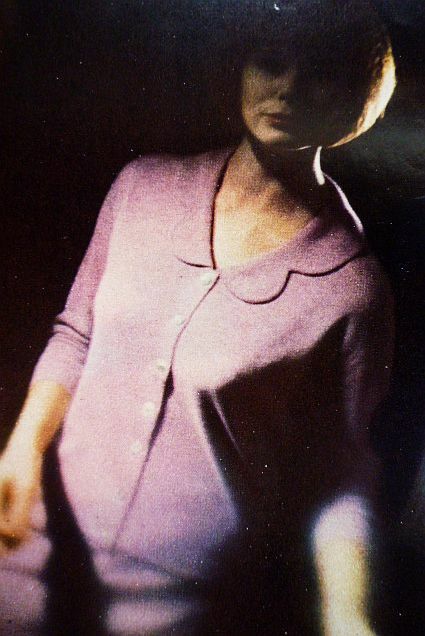 This suit dates to 1964. Stand-away collars also featured on 60s jackets, as did faux pockets. 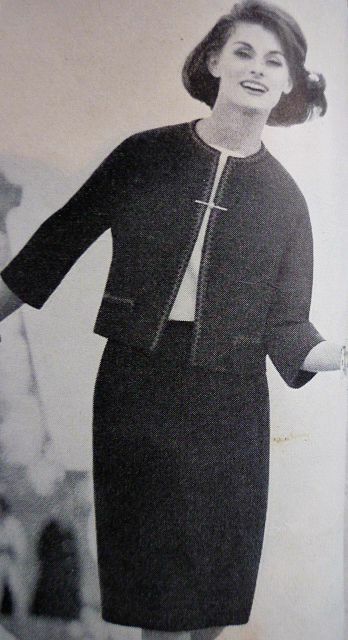 This suit from the mid-60s features a pleated skirt, hemline above the knee and dagger collar, which I'd say is now more commonly associated with the 70s rather than the 60s. Despite the introduction of synthetic fabrics, wool and knitted tops remained high on the agenda. The fringed pockets on this jacket are a lovely example of the minimalistic-yet-so-effective detailing. Self-covered and/or pearlised buttons both continued to be available throughout the 60s. 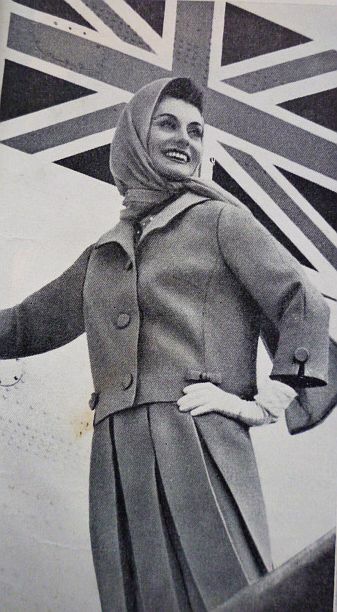 This suit dates to 1961. What a brilliant idea to have this tutorials. Oh to be the right shape to wear those suits. I might as well wear and actual box as try to pull off a boxy suit. But enjoyed the tutorial. 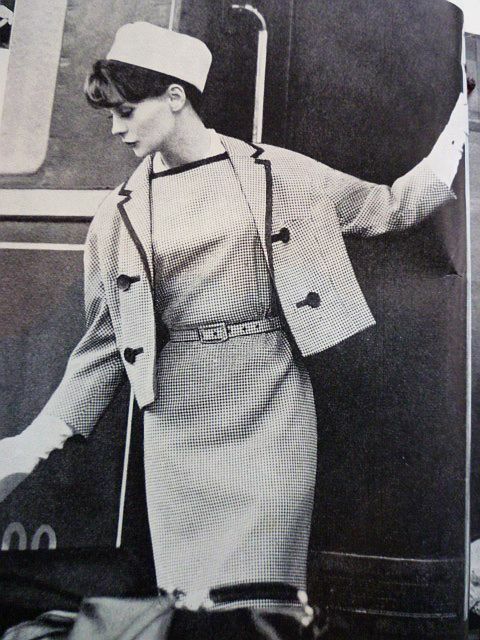 I looooove these suits,especially the A line ones and the pleated skirt mid 60's one! Just darling!!! 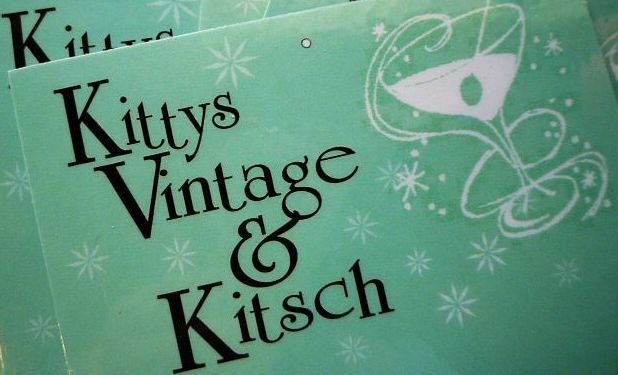 O,Kitty,I'm positively hoarse from all the shrieking and yapping we did over the weekend!!! I love suits,I cant find a decent one here. box suits are so dreamy. Ooh the trench with the hat! I'm in love!